While Metro Vancouver is home for Janet LePage, the region doesn’t have the right ingredients for Western Wealth Capital‘s (WWC) property investment formula. “Vancouver is a really funny city, in that . . . the economic fundamentals don’t follow traditional (property) investing,” LePage, WWC’s co-founder and CEO, told RENX in an interview. Instead, WWC remains focused on increasing its rental apartment holdings in Greater Phoenix. The investment company, which continues to work out of a North Vancouver business park, has accumulated $485 million (all figures in Cdn dollars) in multi-family residential real estate in the Greater Phoenix area, operating within a sweet spot of property selection and renovation tailored to the Sun Belt market. WWC has just closed its purchase of Verde Dimora Apartment Homes, a multi-family unit building that boosts the company’s Arizona rental portfolio. 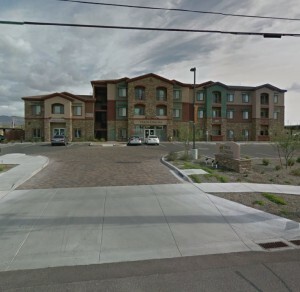 WWC bought the 153-unit building in Mesa for $29.35 million. Since launching in 2011, WWC has acquired 31 multi-family unit buildings with 5,125 units. The company has nearly 400 investors and roughly 160 employees. WWC’s buying pace has been swift. WWC made a single acquisition in its first year and another in 2012; five buys in 2014; nine in 2015, nine in 2016 and another six this year, including Verde Dimora. LePage said Phoenix makes sense for two reasons: it’s experiencing high job growth and a population boom. “When you combine those two, it makes for a really solid economic foundation,” she said. She said many of those people are young and service-oriented workers, or students. They can afford a decent place to rent, and they’re going to be renting for a long time. “Rent-by-necessity is kind of the target that we focus on,” she said. The portfolio of properties is tailored to match that kind of renter with a specific renovation formula. WWC buys aging, “B-class” apartment buildings that haven’t seen any investment from their owners. WWC takes an $800-per-month unit and paints it, landscapes the building, puts down fresh flooring and adds a washer and dryer. It can now lease the unit for about $150 more per month, boosting cash flow and upping the overall asset value. When the financial crisis hit in 2008 and 2009, the U.S. Sun Belt cities were the hardest hit and the slowest to come back, said Tony Quattrin, vice-chairman, capital markets with CBRE, who has worked and invested with LePage. Phoenix is booming. “A lot of the fruits of Western Wealth’s labours in those markets on behalf of investors and clients are starting to pay off because that market is starting to catch fire,” he said. Vancouver-based real estate investor and consultant Ozzie Jurock met LePage about seven years ago when she joined his real estate action group, which focuses on personal and professional growth. “Like me, she believed in the United States,” he said. “The totality of her plan, she put that through every purchase they made. LePage said WWC plans to expand to other similar U.S. cities, but she won’t tip her hand, referring generally to “cities in Texas”, “pockets in California” and a few other locations. She said her stable of investors includes wealthy individual investors, but also family offices and other organized private funds. Another key to success is taking care of their buildings and their 15,000 residents, LePage said.